Photo and text engraving included. 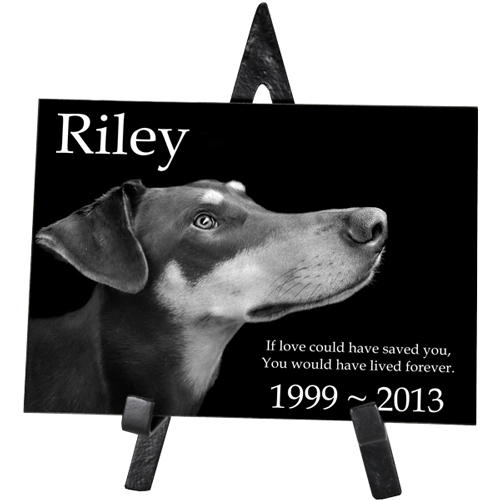 Commemorate the life of your beloved animal friend with a photo memorial made of polished black marble. With laser and computer technology, we can preserve your favorite pet photo for an eternity. Simply send us a scan of your favorite pet photo and we will engrave it onto a solid black marble plaque. Custom text up to four lines may be placed onto the plaque, with 17-20 characters per line. Clip art or a customer supplied line drawing may be engraved for an additional cost. 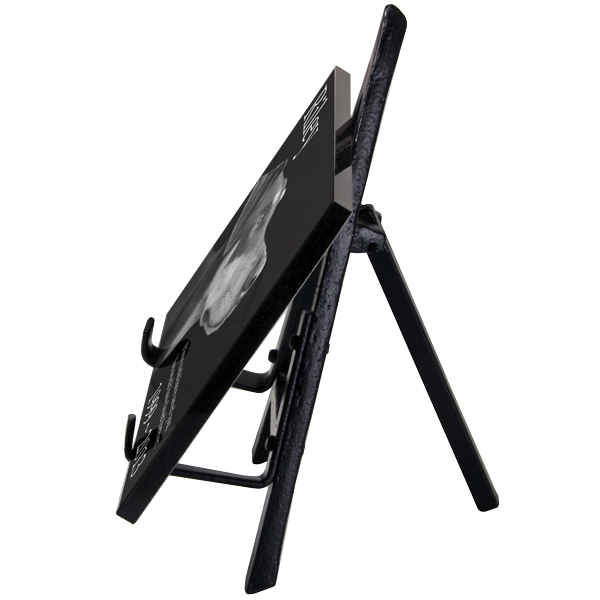 Comes with easel which may differ from photo. Please allow 5-7 business days from the day we receive your photo for us to provide a proof. Upon approval, we will engrave engrave and ship within two business days. - Place order, then email your high resolution photo to service@memorialgallerypets.com (include Order Number in subject line). - Please include your order number in the email along with any special instructions you may have on editing your photo. - Include any custom text you would like printed onto the dog memorial plaque. Scanning instructions- scan at 600 dpi or higher and save as JPG.